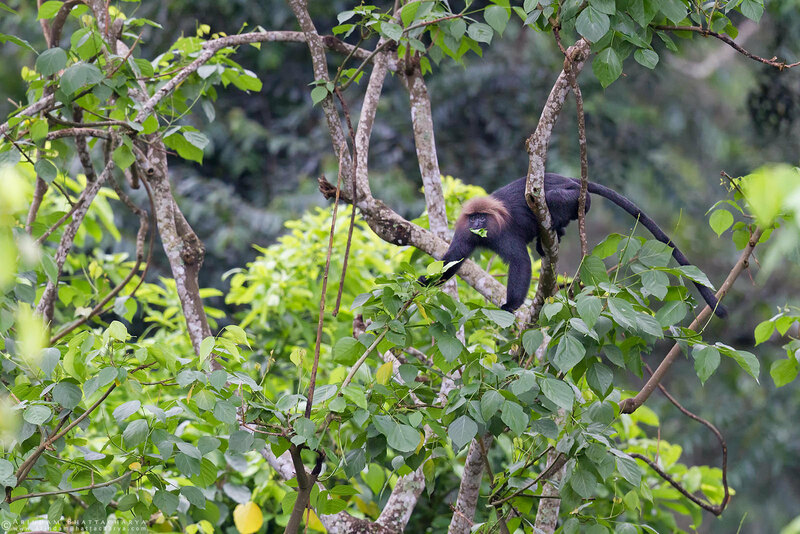 From long time, India has been considered as one of the rich primate areas of the world.In terms of species biodiversity as well as population abundance, India is blessed with her primates collection. 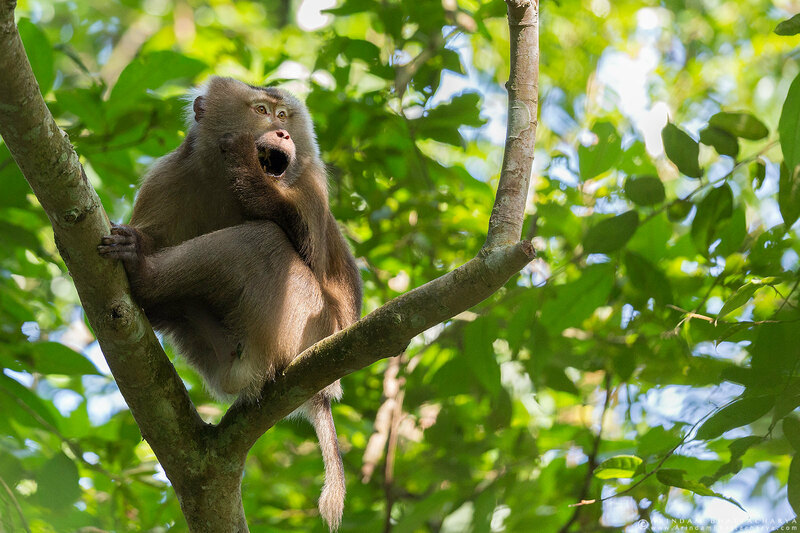 As of now fourteen species of nonhuman primates has been identified out of which six are from macaque, five from langurs, two from looses and one species from gibbon family.Many of them are classified as Endangered ( also Endemic) species by the ICUN. Here is a collection of few images of those species. I am yet to see and document many of them. 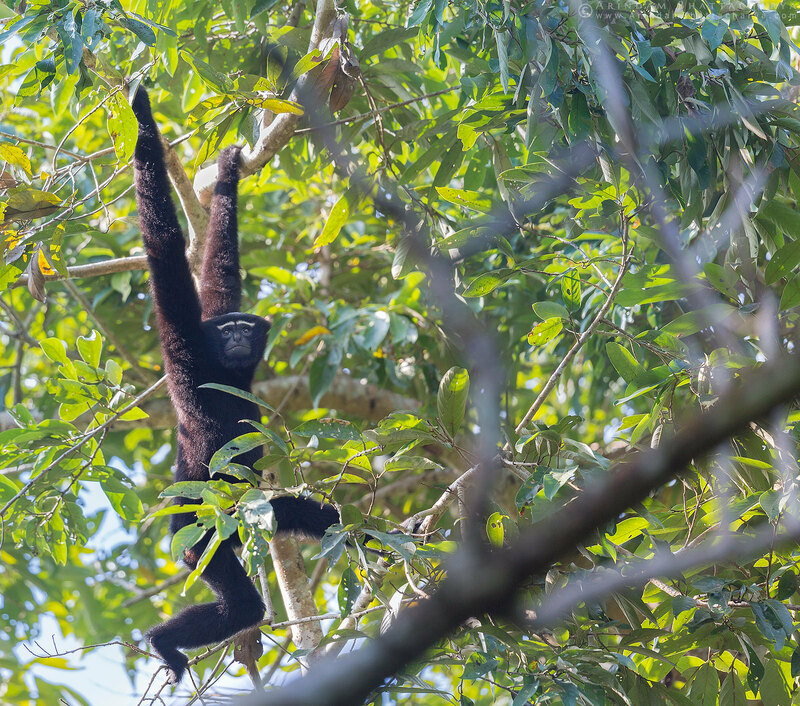 Endangered species Western Hoolock Gibbon (Hoolock hoolock) male flying between tree branches in Assam, North East India. 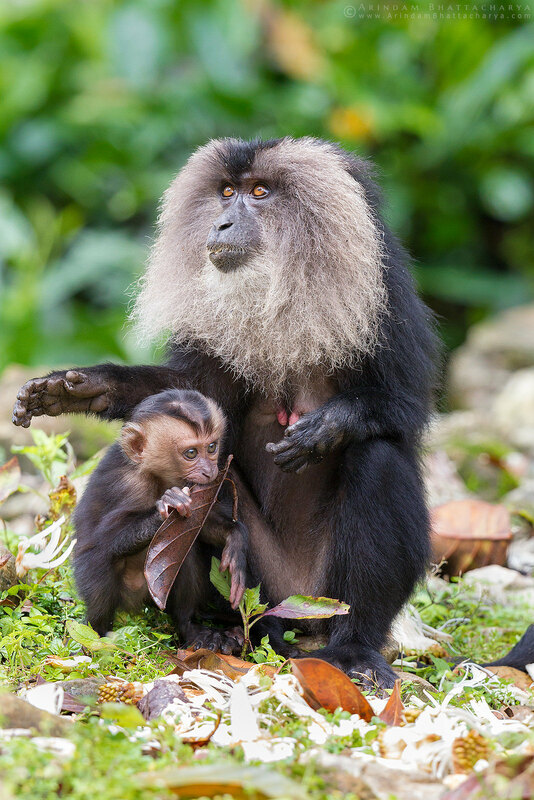 Endemic as well as Endangered species Lion-tailed Macaque (Macaca silenus) and her babay in Valparai, Annamalai hills. 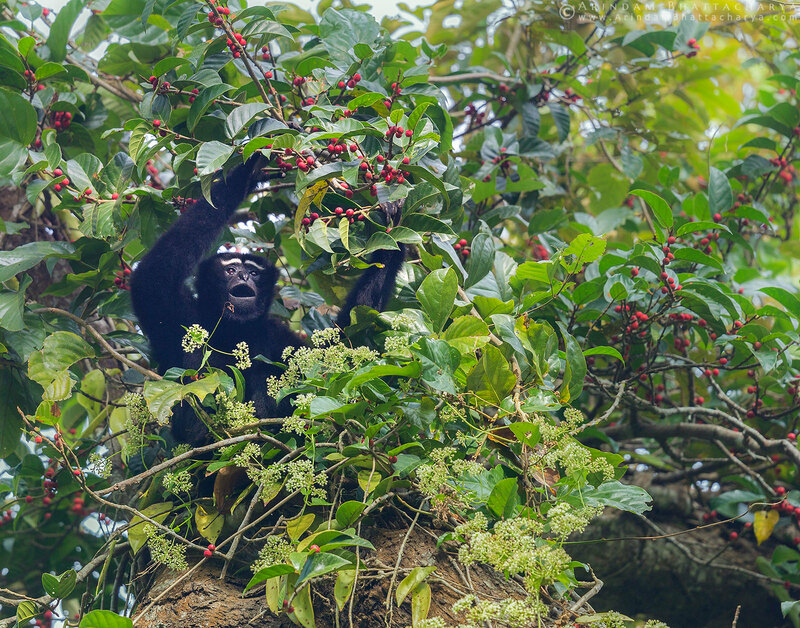 Endangered species Western Hoolock Gibbon (Hoolock hoolock) feeding on the fruit in Assam, North East India. 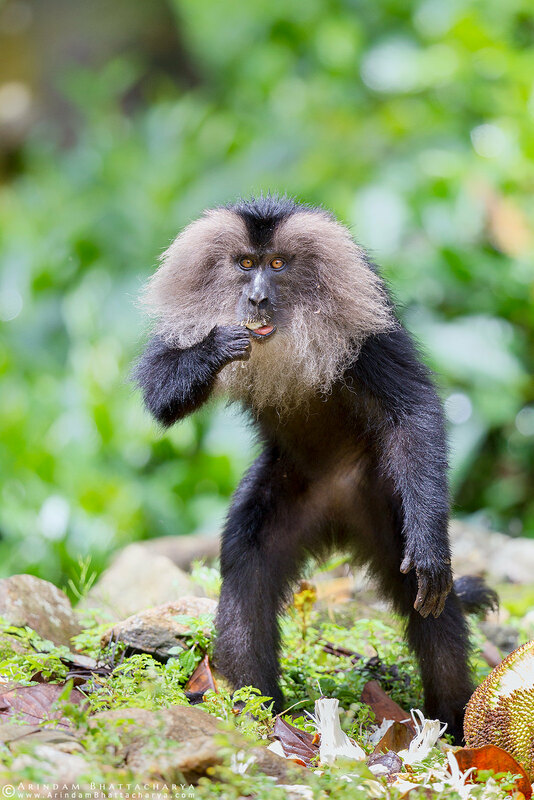 Vulnerable Nilgiri langur (Semnopithecus johnii) from the Nilgiri hills of Western ghats. Gray Langur or Hanuman Langur baby in Tadoba national Park, Maharashtra. 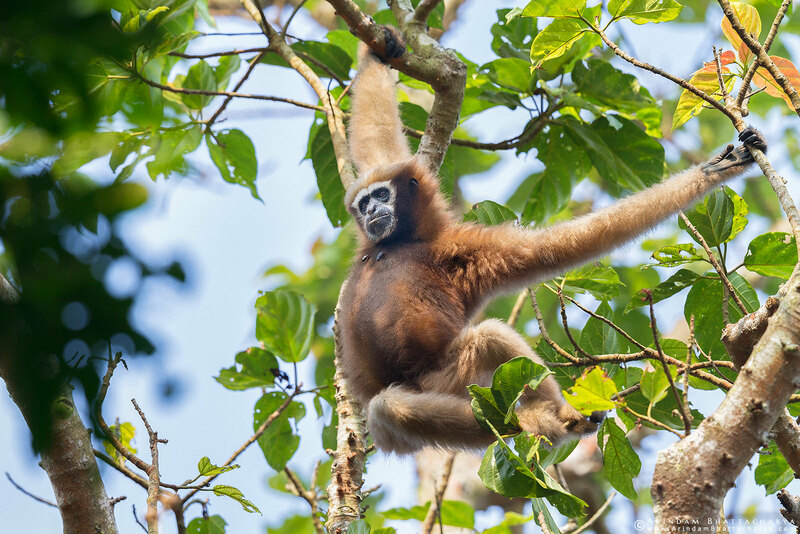 Endangered species Western Hoolock Gibbon (Hoolock hoolock) female in Assam, North East India. 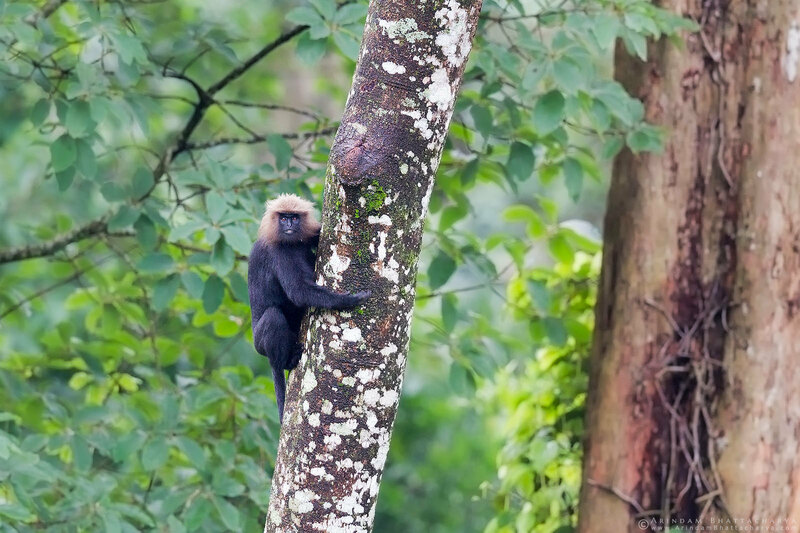 Endemic as well as Endangered species Lion-tailed Macaque (Macaca silenus) in Valparai, Annamalai hills. 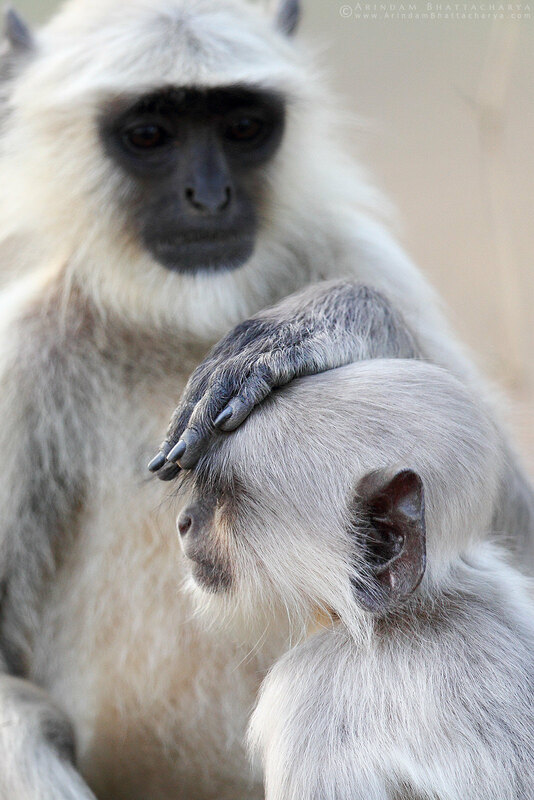 Gray Langur or Hanuman Langur and her baby in Ranthambore national Park, Rajasthan. 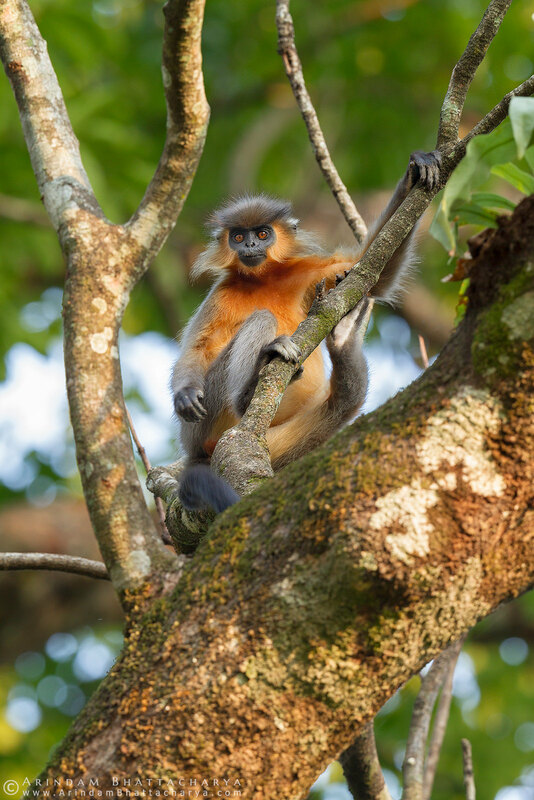 They are the most widespread langurs in Indian subcontinents. 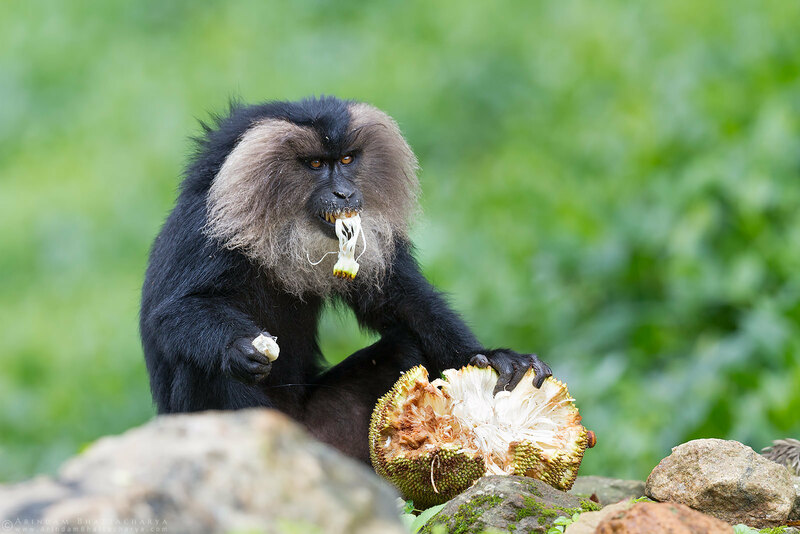 Endemic as well as Endangered species Lion-tailed Macaque (Macaca silenus) eating Jackfruit in Valparai, Annamalai hills. Endangered species Western Hoolock Gibbon (Hoolock hoolock) male soaking in the sun in Assam, North East India. Vulnerable species Capped Langur (Trachypithecus pileatus) in Nameri Tiger reserve, Assam. 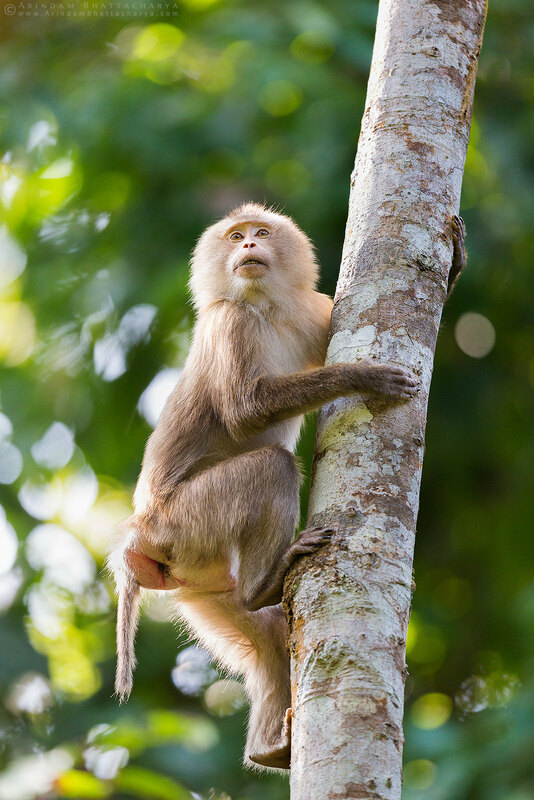 Vulnerable species northern Pig-tailed Macaque (Macaca leonina) baby climbing on a tree in Assam, North East India. Endangered species Western Hoolock Gibbon (Hoolock hoolock) female and her baby in Assam, North East India. Vulnerable species northern Pig-tailed Macaque (Macaca leonina) in Assam, North East India. Gray Langur or Hanuman Langur and her baby in Tadoba national Park, Maharashtra. 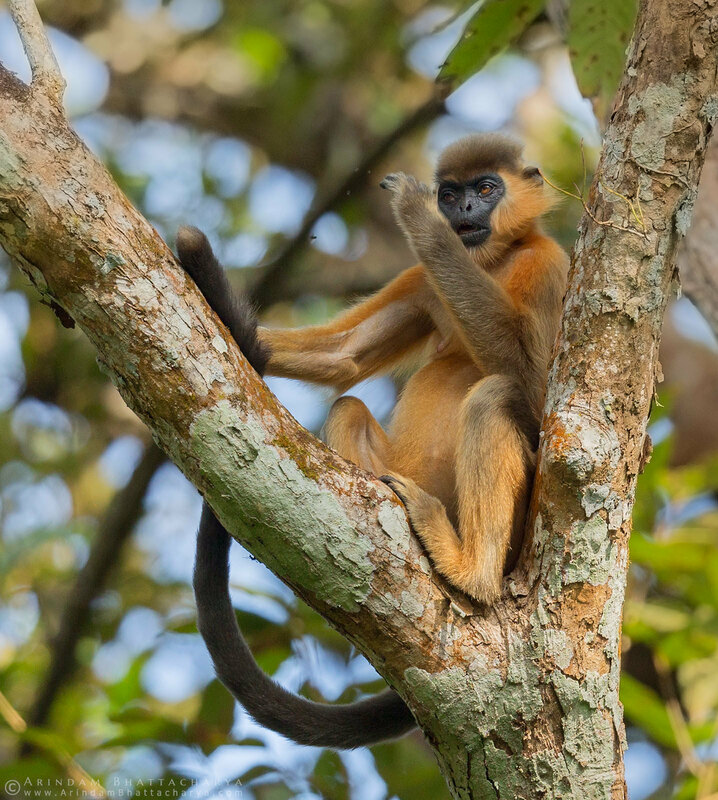 They are the most widespread langurs in Indian subcontinents.